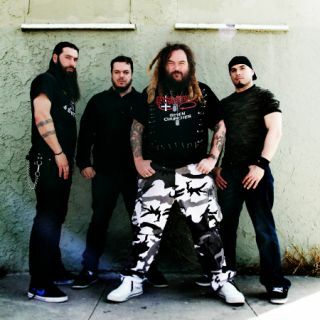 Cavalera Conspiracy release their second album, 'Blunt Force Trauma', on Monday 29 March, but you can stream the whole record in full right now on TotalGuitar.co.uk. It's five years since Max and Igor officially kissed and made-up and two years since their debut 'Inflikted' hit record stores, so we think the timing is just right for a second slab of South American metal! Cavalera Conspiracy's new album 'Blunt Force Trauma' is reviewed in Total Guitar issue 213 (on sale 18 March to 14 April).